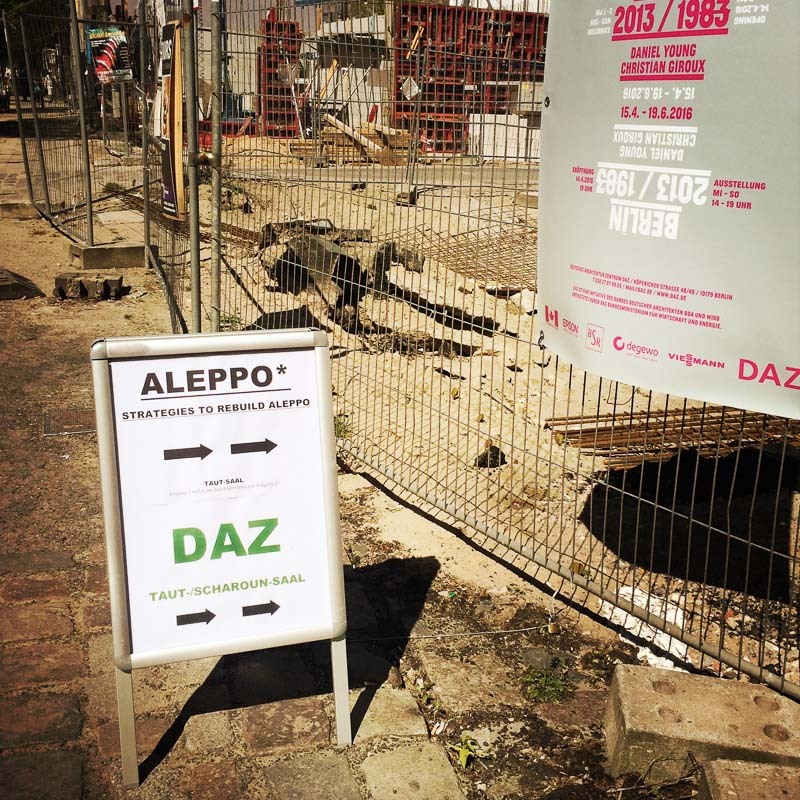 Working Group – Freunde der Altstadt von Aleppo e.V. Since its inception, the association has been a partner in the field of urban rehabilitation and restoration. Since the Syrian war began in 2011, Aleppo’s human and cultural heritage has been in great danger. Ever since, the association stays engaged in the reconstruction discourse via initiatives and working groups. Members of our association are involved in practical, technical and academic discourse on port-conflict reconstruction, damage assessment, documentation and archiving, etc. Moreover, the Friends of the Old City of Aleppo, along with Mamoun Fansa, Carola Simon and Lena Wimmer founded the working group Rebuilding ALEPPO*. The working group’s goal is to develop new strategies to rebuild the city and be an active civic actor in the current discourse. 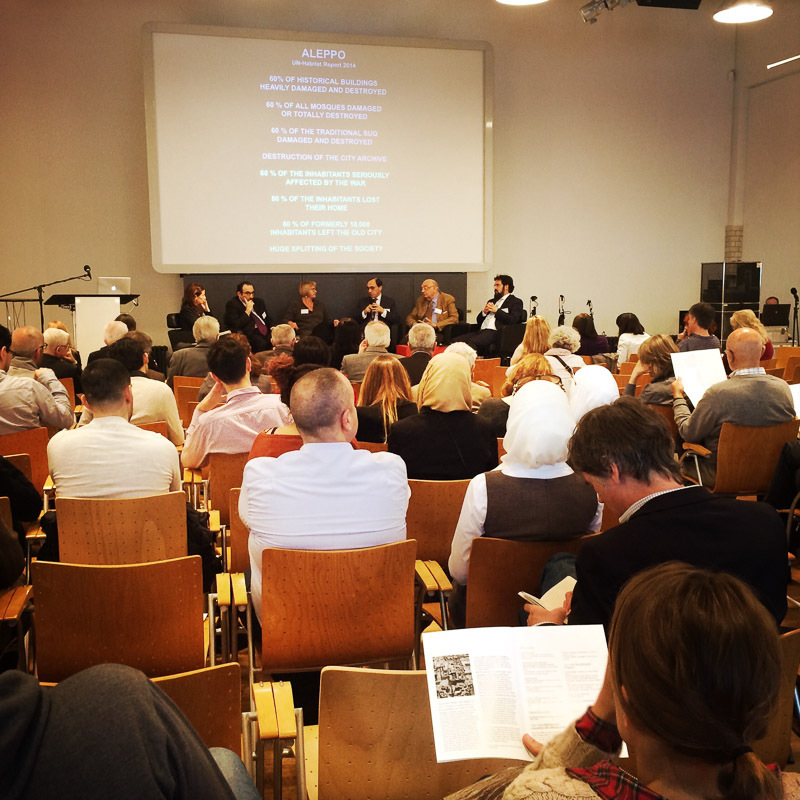 On 22 April 2016 the working group organized its first official event – the benefit event in DAZ Berlin, gathering Syrian and international experts as well as representatives from various institutions (slideshow).